Last weekend was one full of surprises for Edinburgh’s Voice of the Town choir. Though we could only hint at our involvement in a special occasion, mum was the word until our performance at the stunning venue The Hub, Royal Mile, was over. And that’s because on perhaps the most important day of her life, our lovely client and bride, Jenny, choose to surprise her wedding guests with a surprise performance by our Edinburgh group. Oh, and the groom didn’t have a clue either! It was hugely exciting, emotional and nerve wracking day for everyone involved in the wedding – and our Edinburgh choir were no different. Mostly, however, because they hadn’t seen the setup of the room and audience, or manage to have a proper run through, until the actual performance. Talk about pressure! But, despite the nerves, uncertainty and importance of the occasion, VOTT Edinburgh delighted the wedding party and guests with an a cappella version of All You Need Is Love from The Beatles. 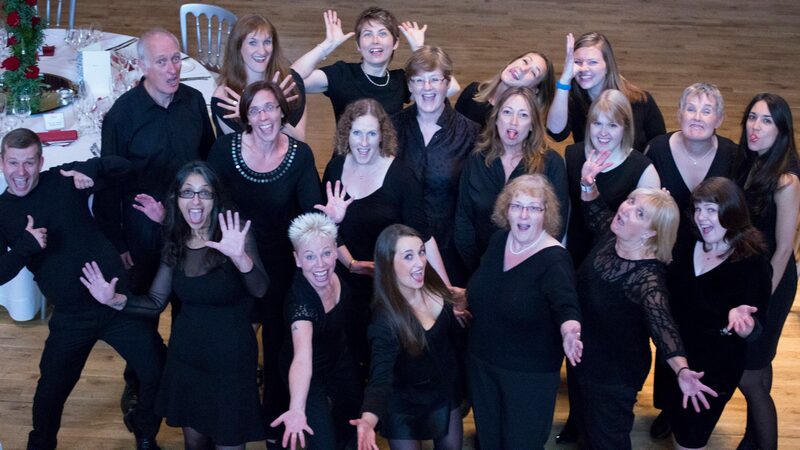 And if you love singing and would like to be part of the choir, book your Free Taster Session here. New term starts on October 1st and we would love to have you along!